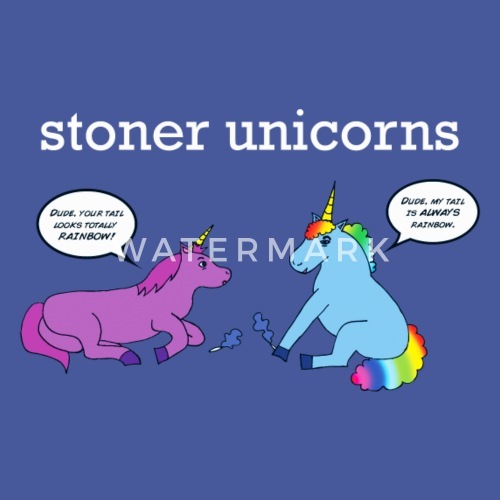 Two stoner unicorns smoking joints, having a conversation about one's rainbow tail. 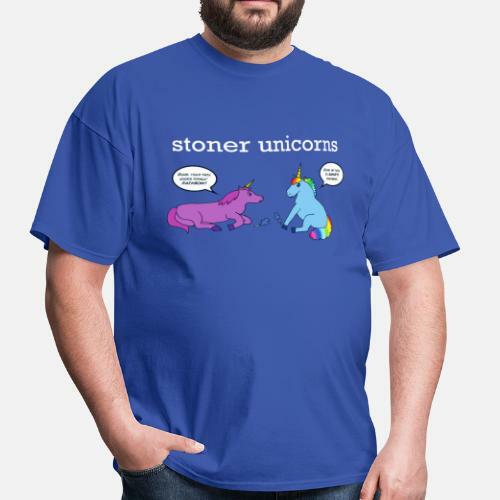 Stoner Unicorn 1: Dude, your tail looks totally rainbow. 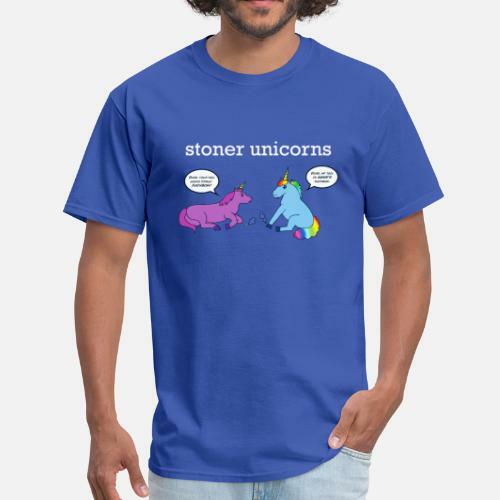 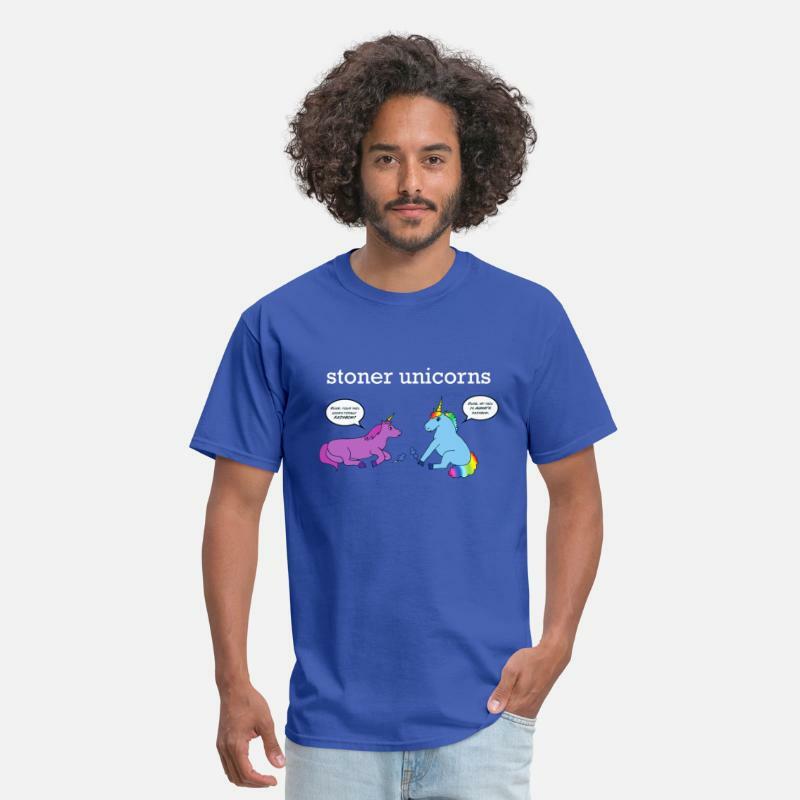 Stoner Unicorn 2: Dude, my tail is always rainbow.